How has the weather been around your parts? Here? It’s been 75 and sunny. AKA Fabulous! Our neighborhood pool is opening up this weekend and I am so excited to take Addi there for her first time! I have kind of a love/hate relationship with summer. I love that there is so much to do with the weather being nice and all, but heat and I don’t get along very well. My hands and feet swell up with the first sign of a rise in temperatures and I get so uncomfortable. I hate it! Because of this, I’m all for finding ways to keep cool during the warm months. In other words, I pretty much live off of cold drinks and smoothies! 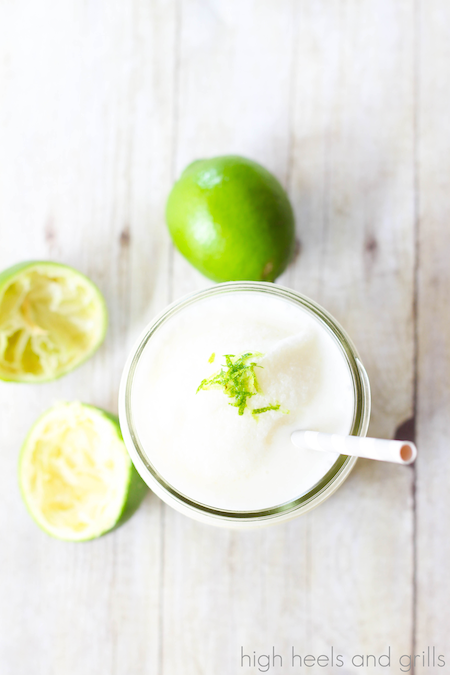 Is there anything that screams summer more than coconut and lime?? 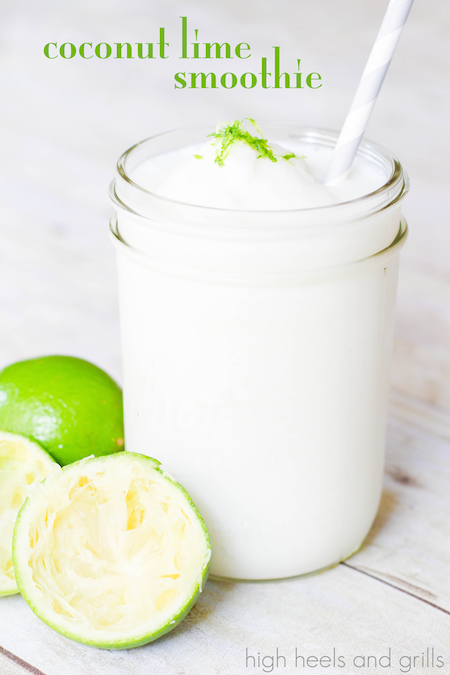 I’ve made a Frozen Coconut Limeade that is kind of similar to this smoothie recipe, but the only downside to it is that it’s full of a lot of sugar without a whole lot of nutritional value. That’s where Carnation Breakfast Essentials comes in. When I was working full time, it seemed like I was always late for work. Carnation Breakfast Essentials were my best friend. I would drink a packet mixed with a cup of milk literally every day on my way to work. 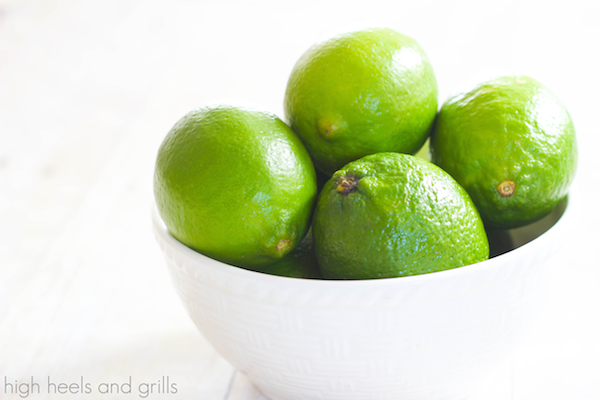 They’re so good and still offer some nutritional value on the go! Lucky for you, Kroger has offered up a coupon, just for you! 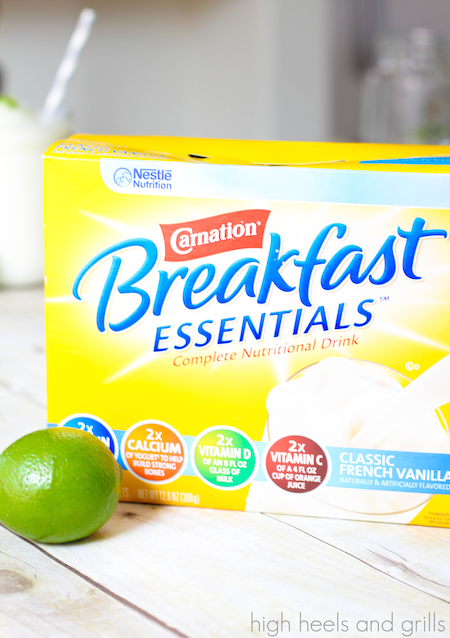 Look for Carnation Breakfast Essentials offers Here. Both Zach and I loved the taste of this smoothie, but really – the options are endless when using the Carnation Breakfast Essentials powder. For more yummy smoothie recipes made with Carnation Breakfast Essentials, be sure to visit their website or follow them on Facebook for daily happenings! Place all ingredients in a blender and pulse until ice is completely chopped and smoothie is well blended. This looks wonderful but I can’t find a nutritional list or calorie count. Looks fresh and wonderfully tasty!